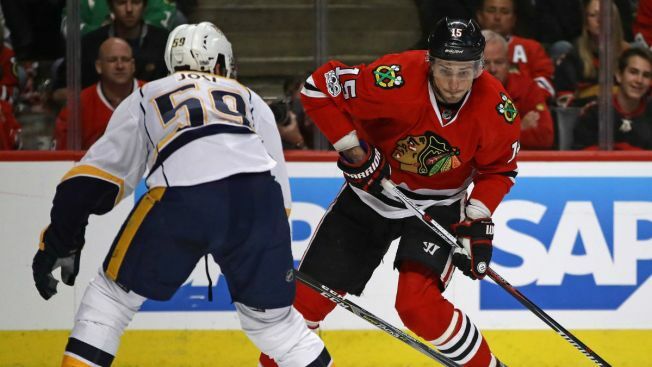 Blackhawks Trade Rumors: Could Anisimov, Gustafsson Be Moved? The Blackhawks are tied for a playoff spot at the moment, but will they be buyers or sellers come Monday? The Chicago Blackhawks are currently in a tie with the Colorado Avalanche for the second wild card spot in the Western Conference, and their midseason surge is having a big impact on how the team is approaching the impending trade deadline. According to a report from Hockey Night in Canada’s Elliotte Friedman, the Blackhawks aren’t necessarily looking to be active at the trade deadline, but one player who could be moved by the team is center Artem Anisimov. Anisimov, who was acquired by the Blackhawks prior to the 2015-16 season, has scored 10 goals and dished out 18 assists in 57 games this season, but with the emergence of Dylan Strome as a solid second center option for the Blackhawks, and with Strome and Alex DeBrincat approaching the time where the Blackhawks can offer them more lucrative contract extensions, Anisimov’s contract could be one the team would try to move. The center is set to make $4.55 million in each of the next two seasons, so the Blackhawks would likely have to take some money back in any swap, but Anisimov can play a second or third line center role for a contending team, and as such could be an intriguing piece on a trade market that appears to be playing out to a seller’s advantage due to the tightly bunched playoff race. Friedman also mentioned that the Blackhawks could potentially look at acquiring forward Artemi Panarin as a rental piece for the stretch run. Panarin, who will be a free agent at season’s end, had huge success with the Blackhawks in his first two NHL seasons, scoring at least 30 goals in both campaigns. The price tag for Panarin is unclear, but if the Blackhawks are serious about making a run at a playoff spot, then adding another goal-scoring threat would seem to be their most effective way of doing so, as their defense has been one of the NHL’s worst all season. Finally, NBCSN’s Bob McKenzie said that the Blackhawks likely will not be looking to move defenseman Erik Gustafsson before the deadline. The blue liner has 12 goals and 29 assists in 58 games this season, and has been instrumental in the team’s resurgent power play. There had been some speculation that Gustafsson could be moved to a team with a need for an offensive defenseman, but there is no urgency to trade him, as he is still under contract for $1.2 million next season as well.